The Revenue Committee heard testimony Feb. 2 on a bill that would extend the cutoff date of certain natural resources districts’ levy authority. Districts located in fully appropriated or over-appropriated river basins currently may levy a 3-cent tax through fiscal year 2017-18 to pay for groundwater management and integrated water management projects. LB98, introduced by Sen. Curt Friesen of Henderson, would extend that levy authority through FY2025-26. Friesen said 10 of the state’s 23 natural resources districts may use the levy; seven districts are using it during FY2016-17. 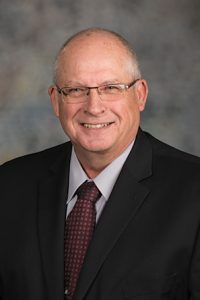 He said extending the levy authority will allow those NRDs, primarily in the Republican River and Platte River basins, to continue water management projects that benefit Nebraska communities. Lyndon Vogt, manager of the Central Platte NRD, testified in support of the bill. He said the levy has allowed five NRDs in the Platte River basin to meet their goal of returning the basin to 1997 water levels by 2019. The second phase, or increment, of the plan probably will require more water reductions, offsets and retiming of flows, Vogt said. “What will be needed is the funding authority to continue for NRDs to finish out this first increment and begin the second increment,” he said.